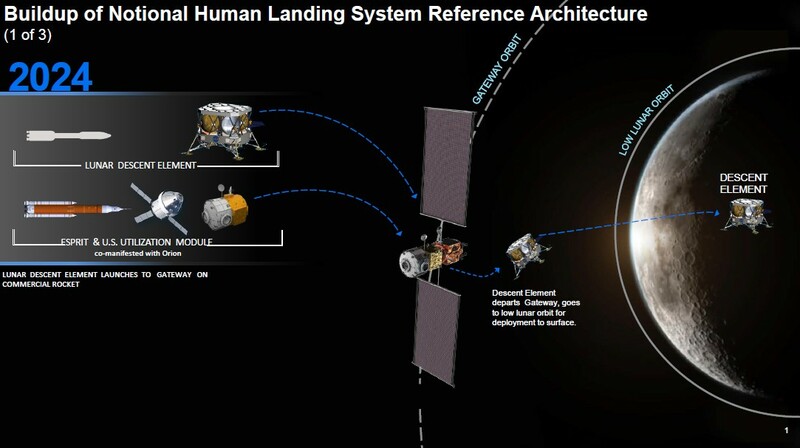 The agency«s leading approach to sending humans to the Moon is using a system of three separate elements that will provide transfer, landing, and safe return. 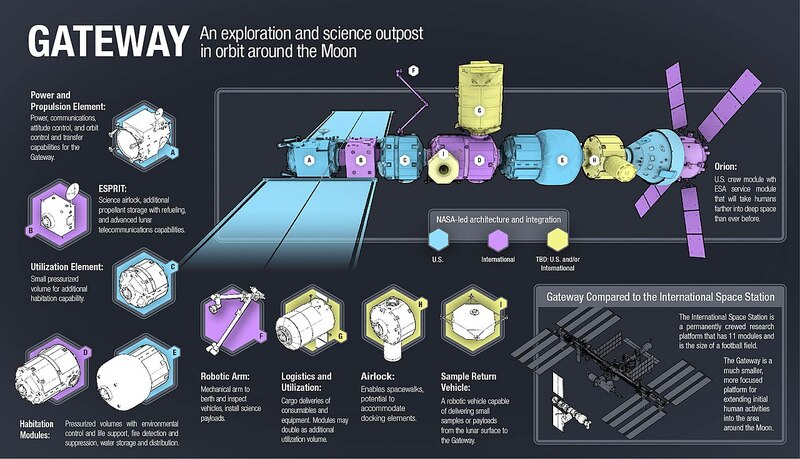 A key aspect of this proposed approach is to use the Gateway for roundtrip journeys to and from the surface of the Moon. 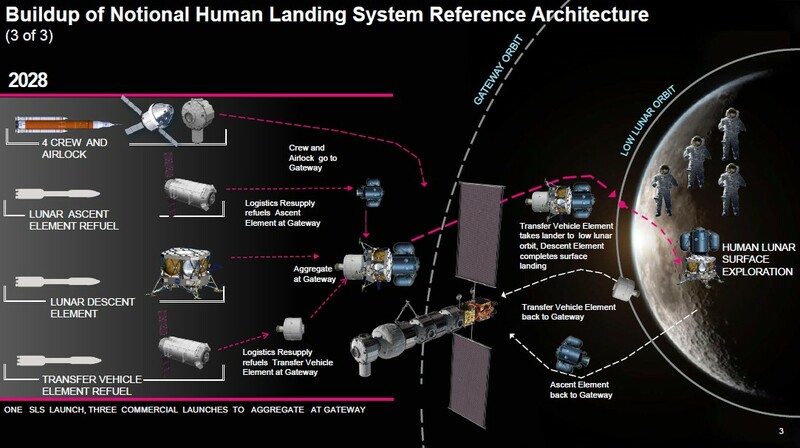 Using the Gateway to land astronauts on the Moon allows the first building blocks for fully reusable lunar landers. 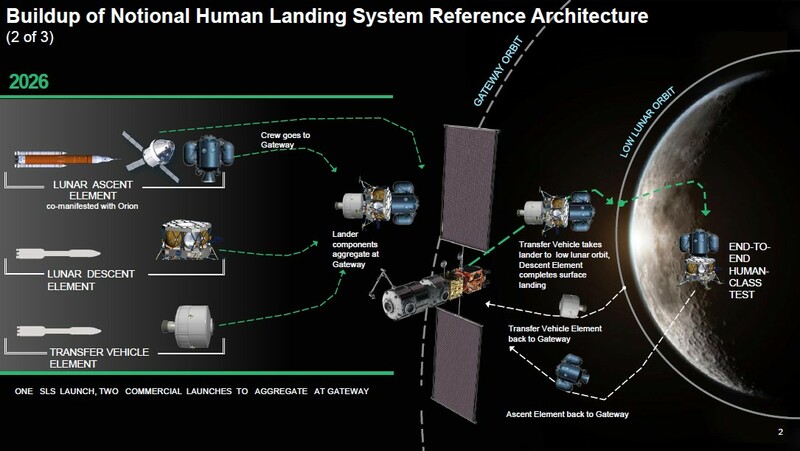 Initially NASA expects two of the lander elements to be reusable and refueled by cargo ships carrying fuel from Earth to the Gateway. The agency is also working on technologies to make rocket propellants using water ice and regolith from the Moon. 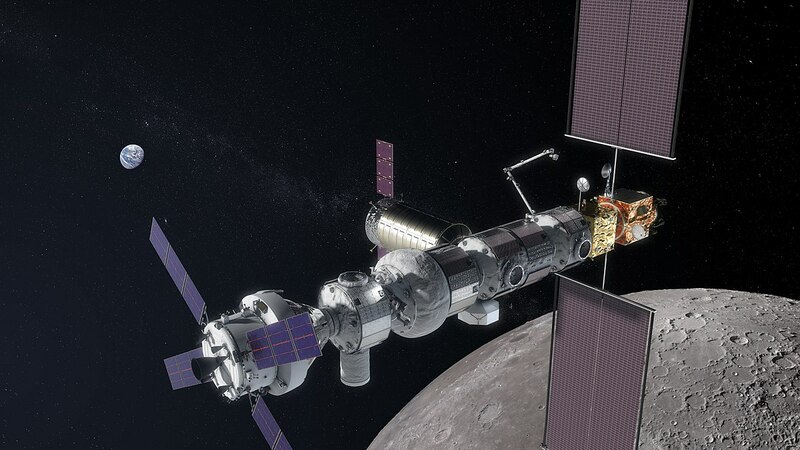 Once the ability to harness resources from the Moon for propellant becomes viable, NASA plans to refuel these elements with the Moon«s own resources. This process, known as in-situ resource utilization or ISRU, will make the third element also refuelable and reusable. Это первый этап, по плану это 2024 год. К этому моменту на окололунной орбите уже должен находиться доставленный с помощью Senate Lunch System «The Power and Propulsion Element (PPE)», массой 8–9 метрических тонн, снабжённый солнечными батареями, способными обеспечить его ионные двигатели электрической мощностью 50 КВт. На PPE предполагается смонтировать Advanced Electric Propulsion System (AEPS), включающий четыре ионных двигателя.